FP and Her Goat. 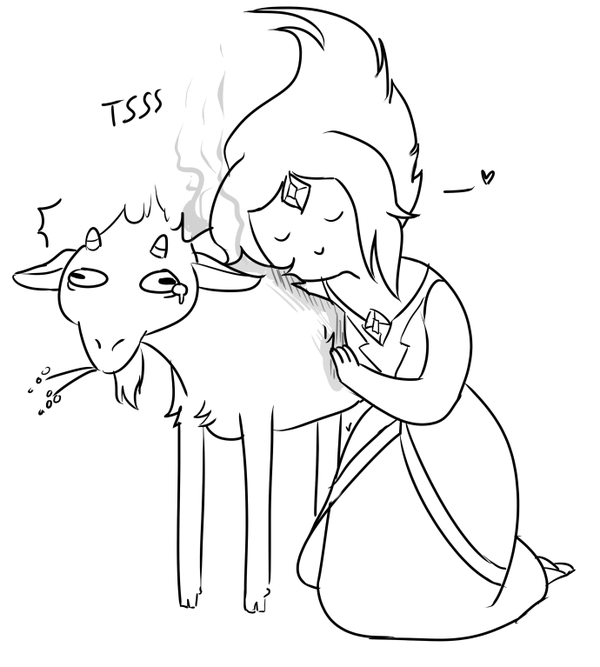 Flamey, sharing a tender moment with a goat, who's going to be tenderized at any moment now xD. Wallpaper and background images in the ফিন ও জ্যাকের সাথে অ্যাডভেঞ্চার টাইম club tagged: adventure time flame princess. 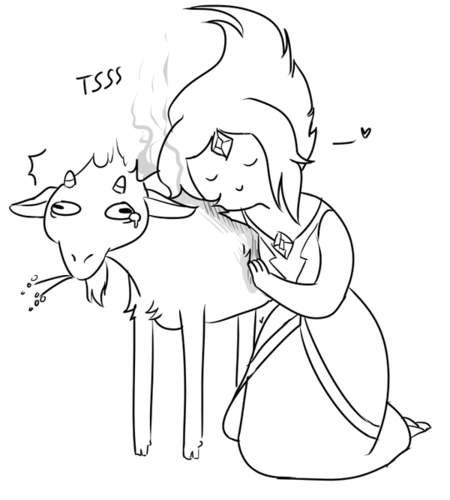 No, he must not pity himself for he is basking on the love of Flame Princes...I wish I was a goat xD. For real or for fun?